Southern Minnesota is home to stunning natural geography and vibrant wildlife. Houston Nature Center has taken advantage of their beautiful location to educate children and adults alike on the amazing environment they live in and around. Nestled along the Root River, the nature center provides hiking and biking trails, campsites, and more to help people get out and enjoy nature. They also hold programs such as stargazing, zip-lining, live bee hive observations, and many other events that celebrate the Houston community. Houston Nature Center had recently experienced some major changes. For a long time, the Nature Center had been home to the International Owl Center, but it was to time for the center to expand and extend their wings downtown. 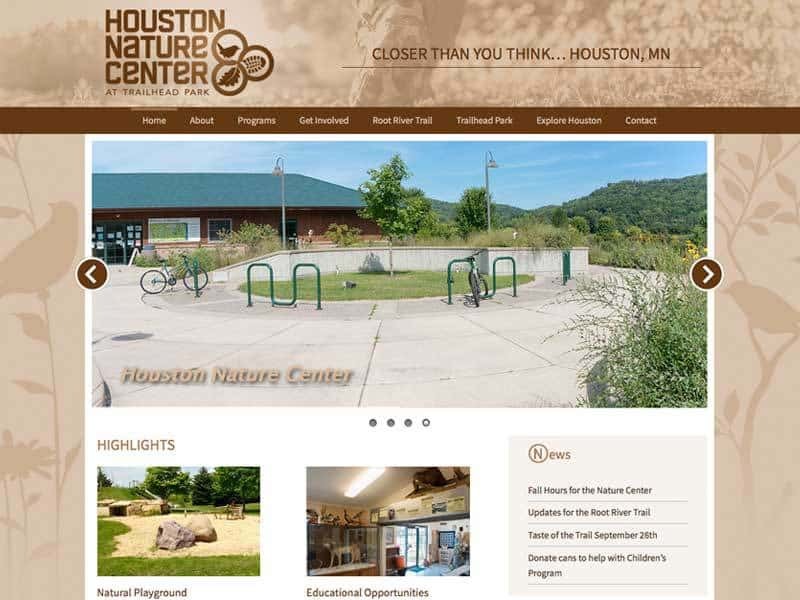 Because much of their marketing had been centered around the International Owl Center, Houston Nature Center wanted their website to compliment the new changes. Our team helped redesign their logo and renamed their site domain to reaffirm their newly adjusted identity. We also updated the site for mobile compatibility and reorganized information for easier navigation. 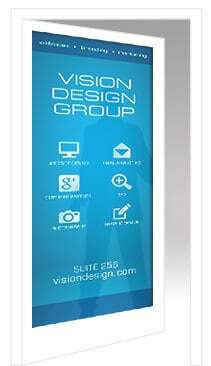 Our team can help your website reach its full potential! Contact us today to learn more.